Yes, it was going to be a long way, but I have a good road bike, and have comfortably knocked out 40km rides along the flat Han River trail, so I was hoping for a longer, sunny version of what I was accustomed to, riding through dense thickets of cherry blossoms. I had 3 colleagues joining me. 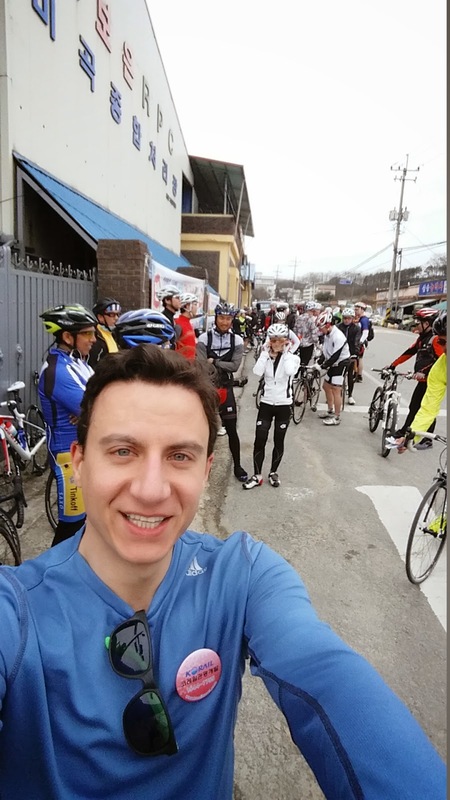 We met at Seoul Station at 8:30am on Saturday and joined a group of 270 riders on a specially outfitted train with bike rack cars — including 30 foreigners: in Korea, the number of foreigners joining an event is always tracked! The train took 2 hours 20 minutes to reach Okcheon in the center of the country, and we rode 14km as a pack to the lunch stop. Not so beautiful a ride, some cherry blossoms had emerged, but it seemed like we had visited 1-2 weeks early. Most of the ride was through small-town Korea, and grey. However, it was a side of Korea one would not see from the city, sort of like a foreigner to the USA visiting Alabama. Lunch consisted of a Korean lunch box with some chicken, rice, kimchi, bean sprouts. Definitely could have used some more water — I’m glad we weren’t cycling on a hot day. In fact, the weather had turned downright chilly and dark clouds threatened. A brief mist passed and we carried on. Cycling warmed us up again, and greeting us after lunch was a long, winding, switchback road up what felt like a never-ending hill. Marathon training in my old life (long since past!) had taught me the importance of keeping my legs moving, not stopping. Thankfully I had a cyclist in front of me pedaling at my pace, so I could track behind her for motivation. Just… one more push… and finally the top, then wind blowing by me as I bulleted down. I almost cramped coming off my bike at the rest stop. Hill #1 took all the juice out of my legs, and steep hill #2 just wasn’t conquerable. I felt a sad sense of failure as I walked my bike up. 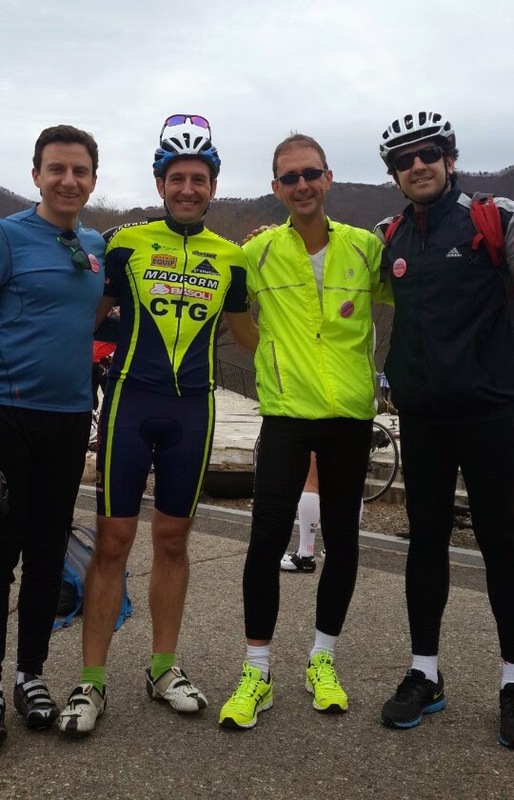 And hill #3 was just torture… the steepest and highest of the 3, about a 300m climb or so. These hills were not well advertised. I felt my body giving up on me. Finally at the top, another rest point, and the dark clouds that had threatened all afternoon finally opened up. Thankfully there was a small Korean gazebo there for all of us to cram into. There would be no more bicycling today. A bus came to pick us up to drive us back to the train station, and our bikes were loaded onto a truck. We had only made 42km of the planned 73 … but honestly I don’t know if I could have completed the rest of the ride in time to catch the evening train back to Seoul. A little more truth in advertising would have been nice prior to this ride, though I did feel a sense of accomplishment in completing what we did. And I felt completely exhausted. I could have slept 12 hours like a baby at home afterwards, and would have had I not met a friend in Seoul from out of town Saturday evening. So, a good first ride for the year. If you’re moving to Korea, a word of advice: bring your own bicycle! Like consumer electronics, bicycles are a lot more expensive in Korea than what you would find in Western countries. Some Koreans spend $5,000-$7,000 on a high-end bicycle!! 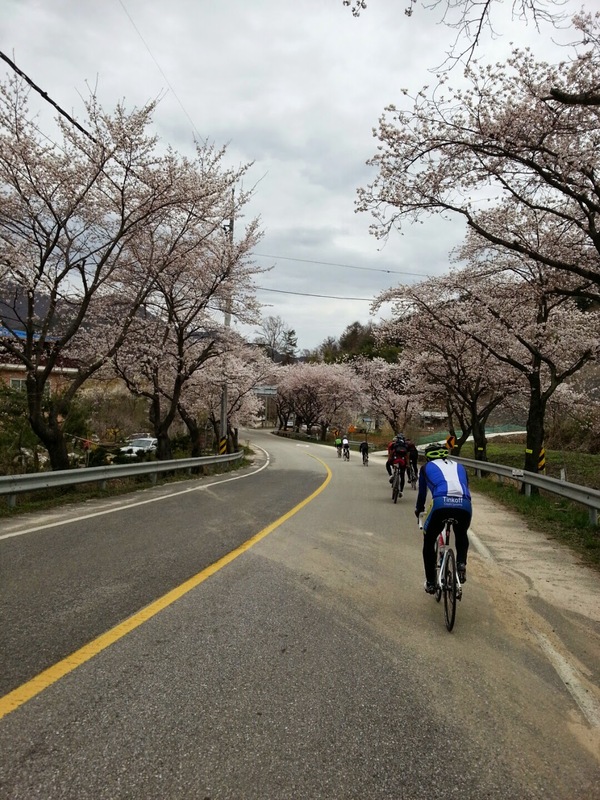 There are some good trails and groups to join (foreigner or Korean) to fill any cyclist’s weekend appetite. Happy riding!